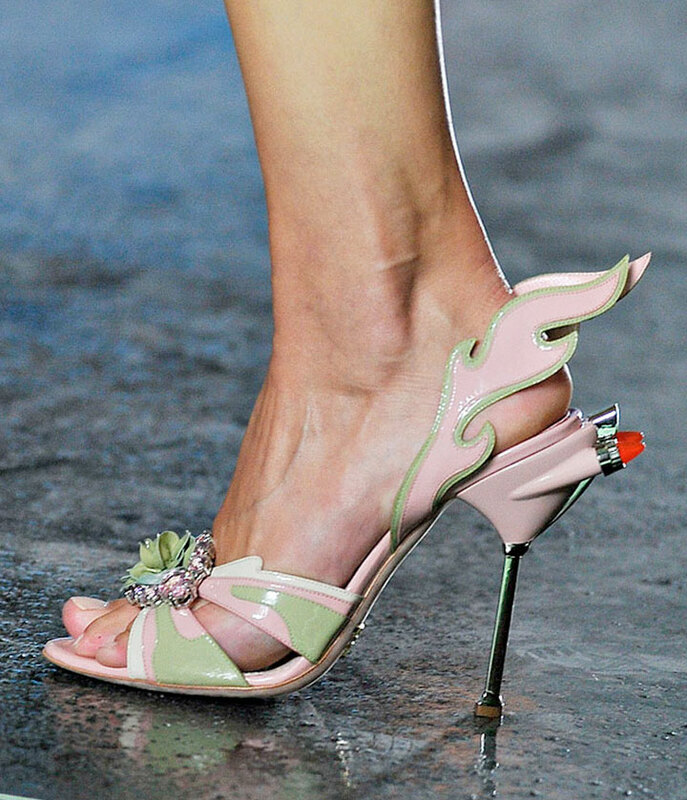 Ready for flying with a bad lady attitude with the new Prada Shoe Collection? 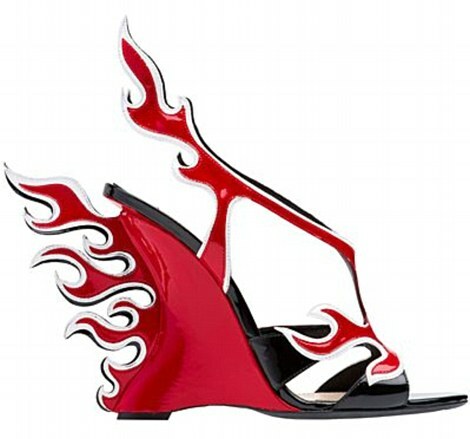 It's a colorful, original and definitely over the top sandals and pumps from Prada, called "Hot Rod" shoe collection, inspired by vintage powerful American car of the 50s. In my opinion not....but people is going to talk about your feet and not about your outfit if you are going to wear those shoes next season. 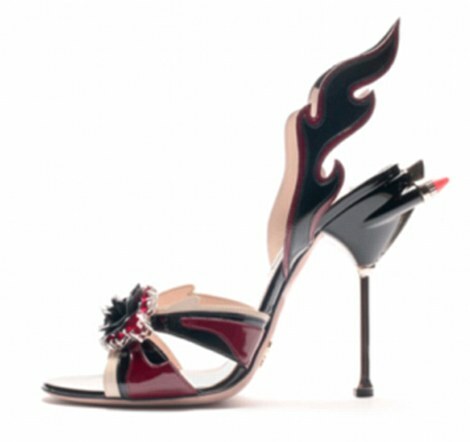 You have in different contrast colors, in a stiletto and wedge style, graphic ornaments, like some of them with a red lipstick detail. Which one is your favorite? 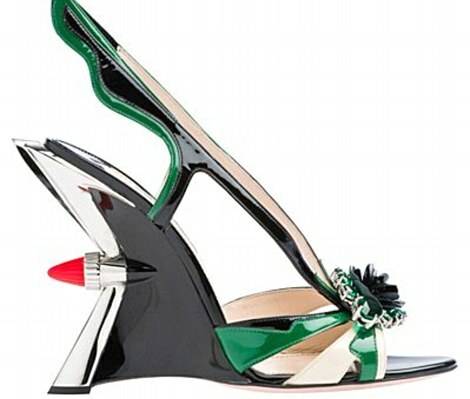 Or Are you going to wear these Prada shoes? 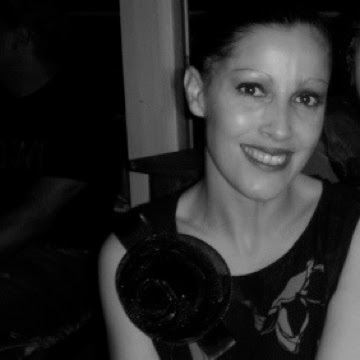 Let me know.... because fashion doesn't have to be too serious.....be fun and enjoy!!! Me gustaron los modelos stiletos. 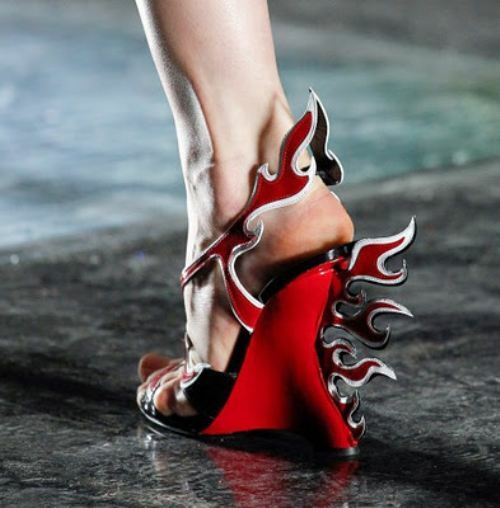 Creo que me iria por los tacones mas que por las wedges. Y si son esos con lucecitas (que no creo que se prendan) mejor. Es cierto, el zapato se va a notar más que la ropa, pero creo que ese es el punto. Lucir algo "sencillo" porque todo esta en el zapato. Muchisimas gracias por tu comentario Angeles. Those shoes are so fab! I like the red flames design. I'm used to wearing my clark shoes for my everyday shoes but it doesn't hurt to buy one of these.